Tourmaline is a crystal silicate mineral compounded with elements such as aluminium, iron, magnesium, sodium, lithium, or potassium. Tourmaline, known as 'gemstone of the rainbow', comes in a wide variety of colors. 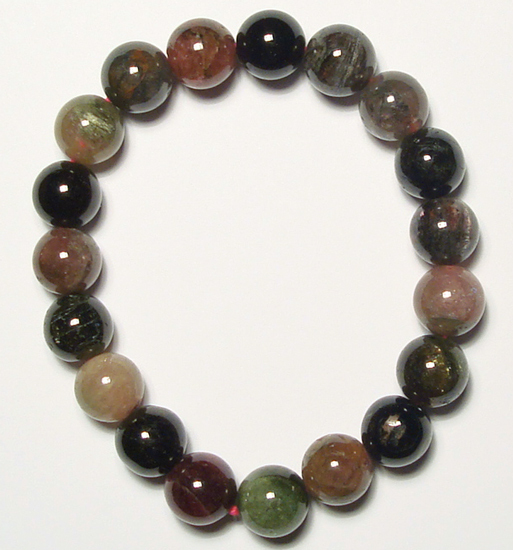 As the old Egyptian says, tourmaline, on its long journey up from the centre of the Earth, passed over a rainbow. In doing so, it assumed all the colours of the rainbow. Tourmaline is a recommended semi-precious stone for the traveler.